Hugh Miller, associate professor of mining engineering at Colorado School of Mines, has been awarded the 2018 Medal of Merit by the Mining Foundation of the Southwest. 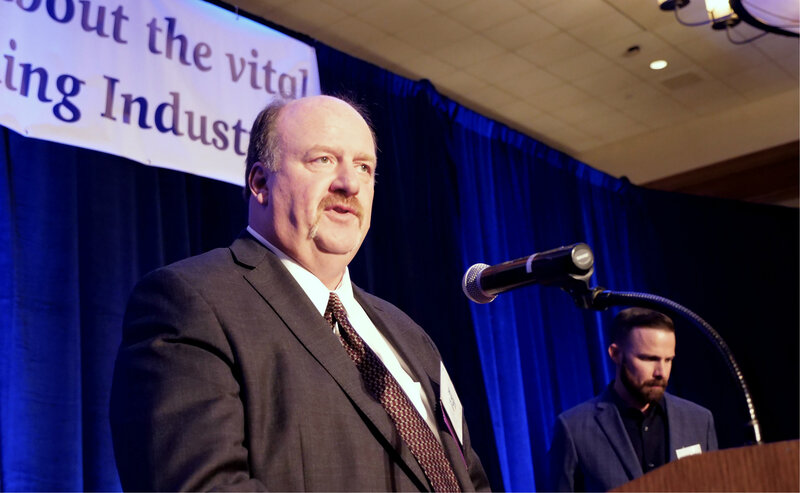 Miller was honored during the 36th American Mining Hall of Fame Awards Banquet on Dec. 1 in Tucson, Arizona. A Mines alumnus, Miller earned his PhD, MS and bachelor’s degree from the university. He joined the Mines faculty in 2005 after spending six years teaching at the University of Arizona and 13 years working in industry for several mining, resource and engineering companies in capacities ranging from mine operations to management. Miller is a director for the Society for Mining, Metallurgy, & Exploration (SME) and will serve as the 2019 president of SME. He received the SME Presidential Citation in 2015 and the SME Mining & Exploration Division Distinguished Service Award in 2011. He was inducted as a SME Distinguished Member in 2012 and received the AIME/SME Mineral Industry Education Award and the AIME Honorary Member Award in 2017. At the banquet, fellow Mines alumnus Harry M. (Red) Conger was also recognized as the 2018 inductee into the American Mining Hall of Fame. Conger, who earned his bachelor’s degree at Mines, is president and chief operating officer-Americas for Freeport-McMoRan Inc., overseeing the company’s North and South American copper mining operations and Climax Molybdenum Co.